the world is the Smile. In recent years, more people have become concerned about having teeth that are straight and free of stains, chips or other obvious imperfections. that winning smile they’ve always dreamed of ! There are many reasons to smile, when you greet someone, when you take a picture and various other opportunities. However there are those individuals that try to keep their smile hidden and do not like to display their teeth. Through various cosmetic dentistry procedures such as teeth whitening, or porcelain veneers, people can help you show off a bright and wonderful smile. Can you truly look and say you’re teeth are white? According to a poll taken by the American Academy of Cosmetic Dentistry (AACD), when asked, “What satisfied you least about your smile?” The number one answer people gave was tooth color. Cosmetic dentistry procedures such as tooth whitening can give your teeth a brighter appearance, allowing you to smile with confidence. Unsatisfied with your smile? We offer information on various cosmetic dentistry procedures to assist you in finding the procedure you’re looking for. Learn more about teeth whitening procedures, dental veneers and other cosmetic dentistry procedures through the information we have provided for you. It is the first impression we make and the last we leave. We know you want to achieve an ideal, youthful smile. To give you the look you are seeking, we offer you a dental facelift that can quickly "reverse" the natural aging process of your teeth. Don’t keep your smile hidden! have been waiting all your life!! In Makeover Travel we pride ourselves on being functional. We meticulously evaluate and take into account the principles of how teeth bite together and beauty when creating smile designs. We have changed the lives of thousands of patients-- from high profile like models and actors, television personalities and beauty queens. A dental implant is a screw- or cylinder-shaped replacement for a missing tooth. The implant is placed in the jaw bone under the gums and a tooth-like cap (or crown) is then fabricated and connected to the implant to replace the missing tooth. The implant plays the role of the tooth's root by anchoring the cap into the jaw bone. In order for an implant to succeed, it must be as stable as possible in the bone during the healing process which occurs in the months following the implantation. This will enable the bone to join with the implant correctly. This process is called Osseointegration. 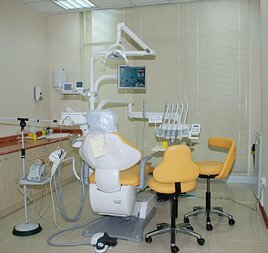 Will I have a tooth immediately after the implantation? If the dentist decides that the implant is stable enough immedia tely after he has placed it in the jaw bone, he can mount the cap on the implant at this time. This is called Immediate Loading of the implant. However, if joining the cap to the implant immediately following the implantation might compromise the stability of the implant during the healing process (because of chewing forces destabilizing the implant), the dentist will stitch the gums over the implant without mounting the cap. This will allow the bone to heal undisturbed. When a sufficient period of time has passed, the implant can be connected to the tooth-shaped cap. This is called Delayed Loading. The first stage of the implantation is local anesthesia, same as for a filling. Once the gums are numb, you don't feel any discomfort during the procedure. 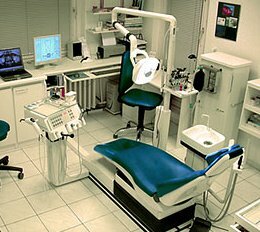 The dentist has to prepare the implantation site using a relatively slow drill. This may feel to some like an annoying tapping sensation but is quite painless. 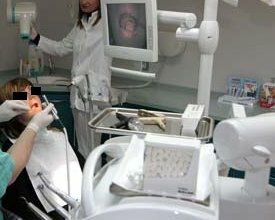 How does the dentist place the implant? After anesthetizing the area, the next step is to penetrate the gums to reach the bone beneath. This can be achieved with a scalpel incision, laser or elecrosurgery. Using a series of specialized drills, the dentist then prepares an exact cavity in the jaw bone into which the dental implant fits tightly. 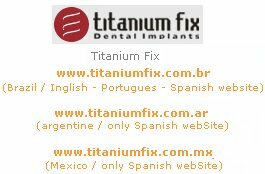 Most implants today are screw-like, and are screwed into the prepared cavity either using a hand-held or a motor driven wrench. What will I feel after the implantation? When the anesthesia wears off, you may feel some discomfort at the implantation site. Some swelling may occur. Painkillers should be taken to alleviate any pain and steroids may be supplemented for swelling, although this is rarely required. Your dentist may recommend antibiotics and mouth rinses for a few days after the procedure to prevent infection. An especially complex implantation may require a day or two of rest at home. Any recommendations your dentist makes should be followed. 3) The crown is then fabricated in the dental laboratory with instruction from the dentist such as type of crown and shade or color of the tooth. The crown is then cemented in place by the dentist. A temporary crown is placed while the laboratory is constructing the crown. A porcelain dental crown looks and feels exactly like a real tooth, so nobody, including you, should be able to tell the difference. If anything, your new dental crown will enhance the look of your smile. Dental crowns offer a big advantage over dental fillings because they are fabricated "away from the mouth". As the dental crown is made in the dental laboratory, the technician can visualize and examine all aspects of bite and jaw movements, from a variety of angles, and sculpt the dental crown for a perfect anatomy. This ensures a great deal of accuracy for comfort and fit. Dental veneers (sometimes called porcelain veneers or dental porcelain laminates) are wafer-thin, custom-made shellsof tooth-colored materials designed to cover the front surface of teeth to improve your appearance. These shells are bonded to the front of the teeth changing their color, shape, size or length. 1) They provide a natural tooth appearance. 2) Gum tissue tolerates porcelain well. 3) Porcelain veneers are stain resistant. veneers generally don't require the extensive shaping prior to the procedure that crowns do, yet offer a stronger, more aesthetic alternative to bonding. Yes, bondings and Crown. Veneers offer a nice intermediate option. Veneers may be best suited for individuals who want to change the shape of their teeth more than just a little bit-as is done with bonding-but not enough to require a crown. Inside each tooth is the pulp which provides nutrients and nerves to the tooth, it runs like a thread down through the root. When the pulp is diseased or injured, the pulp tissue dies. If you don't remove it, your tooth gets infected and you could lose it. After the dentist removes the pulp, the root canal is cleaned and sealed off to protect it. Then your dentist places a crown over the tooth to help make it stronger. Thousands of people have been traveling abroad every year to receive affordable cosmetic surgery abroad and Bariatric procedures like Lap-Band Surgery. Outstanding quality and affordability are the two most important reasons for having cosmetic and plastic surgery abroad. Traveling for a "medical holiday" also provides an opportunity for those with limited vacation time to have both medical services and a vacation with their family or friend.